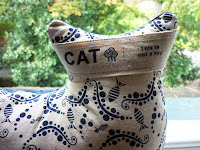 Really fantastic company with great news letters too! 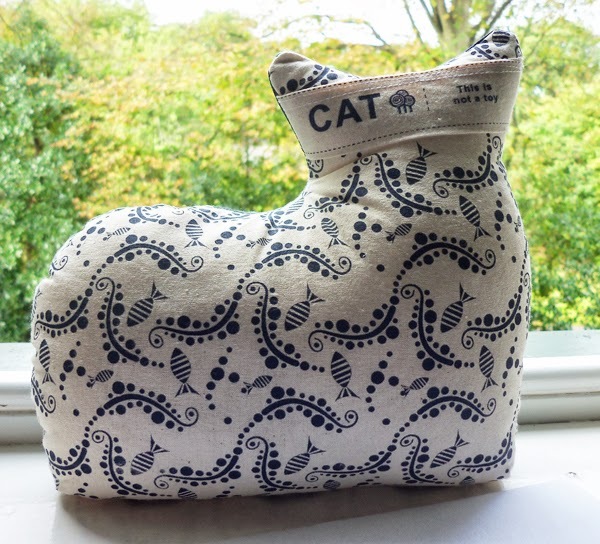 Decided to make CAT, a charming Doorstop...mmmmeee. Really useful to prop open doors, put on the end of book shelves or indeed to just put on the shelf to look at. 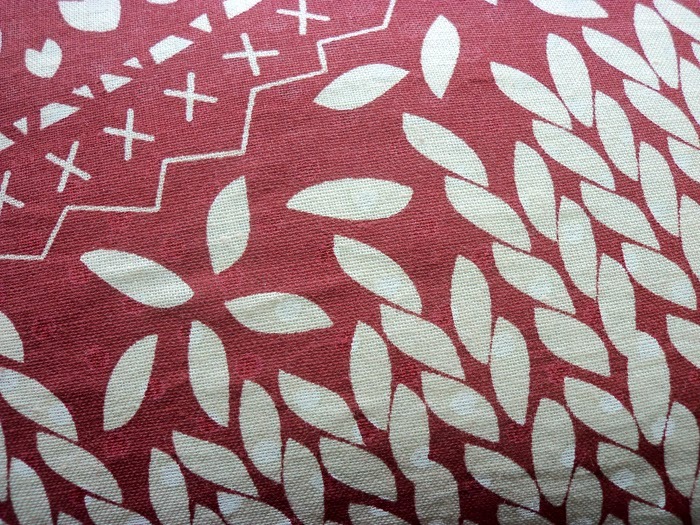 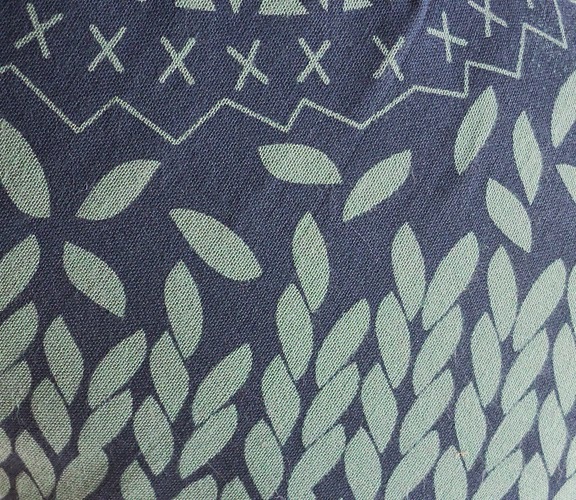 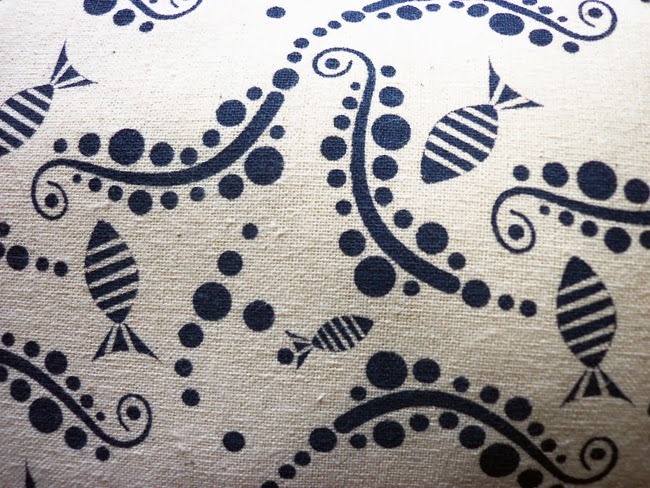 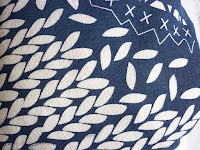 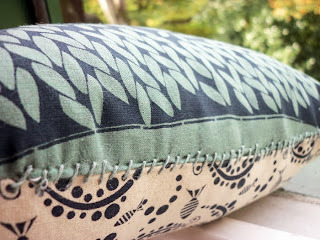 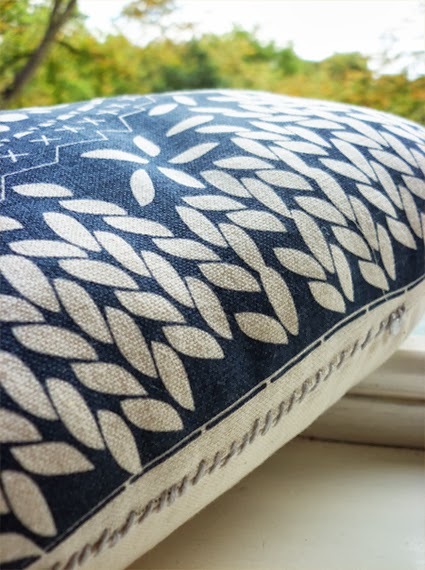 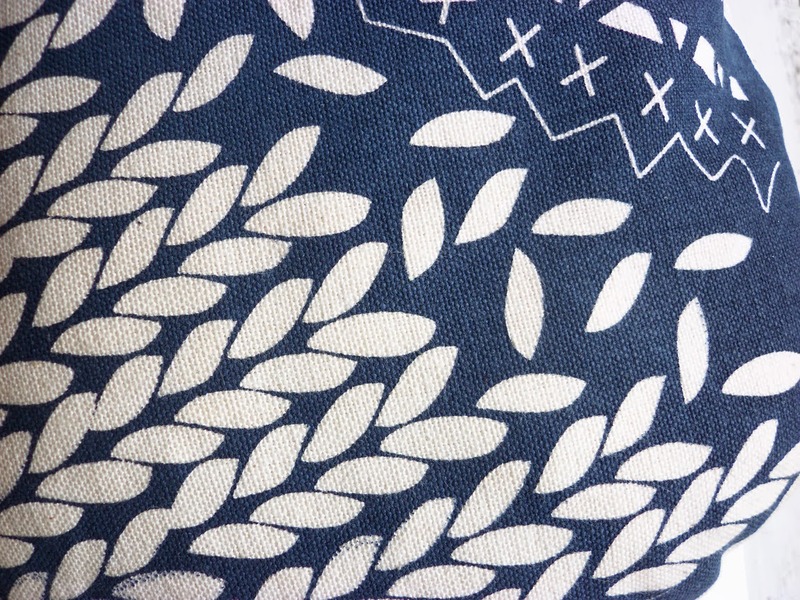 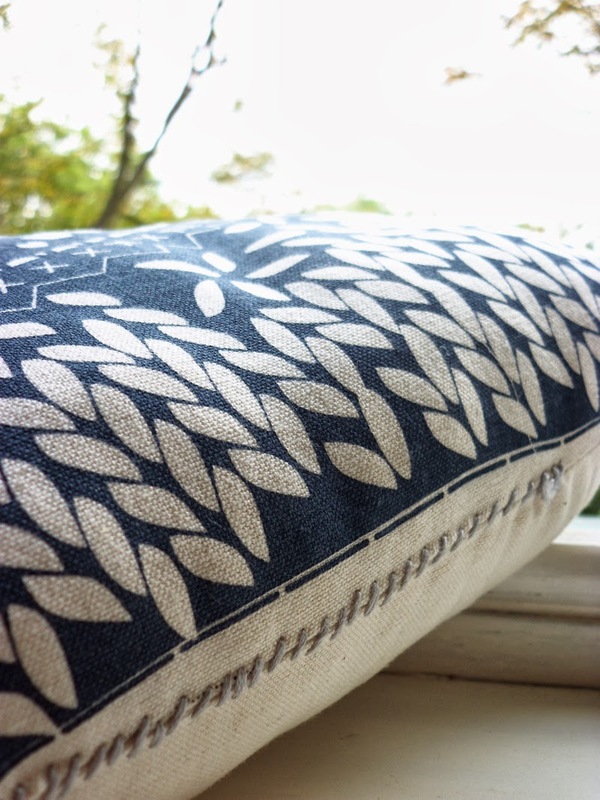 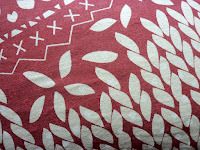 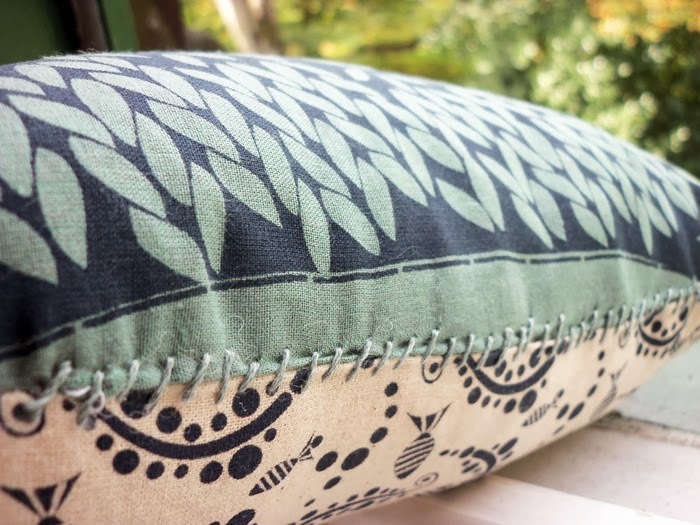 I have screen printed my design onto heavy weight organic cotton using blue fabric ink which has been heat fixed. 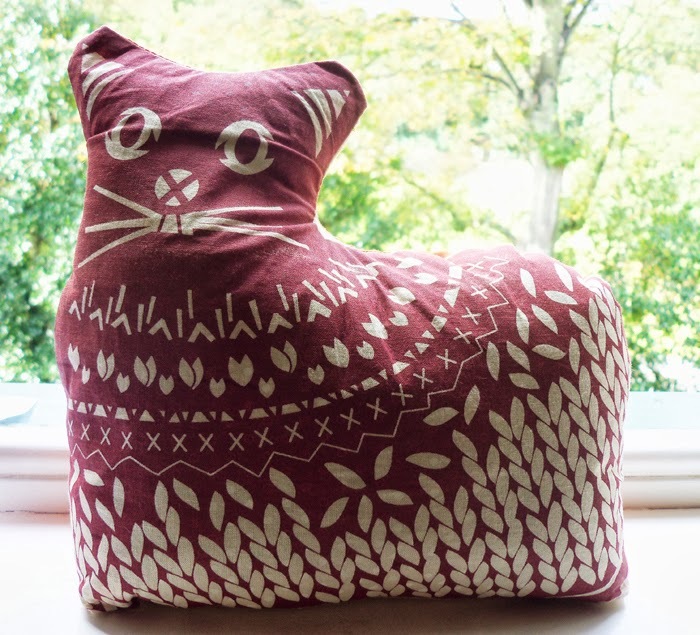 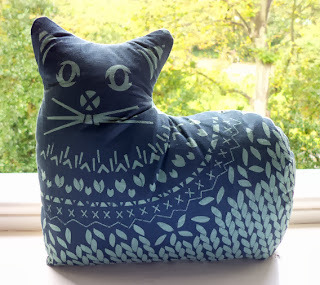 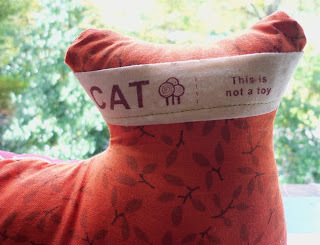 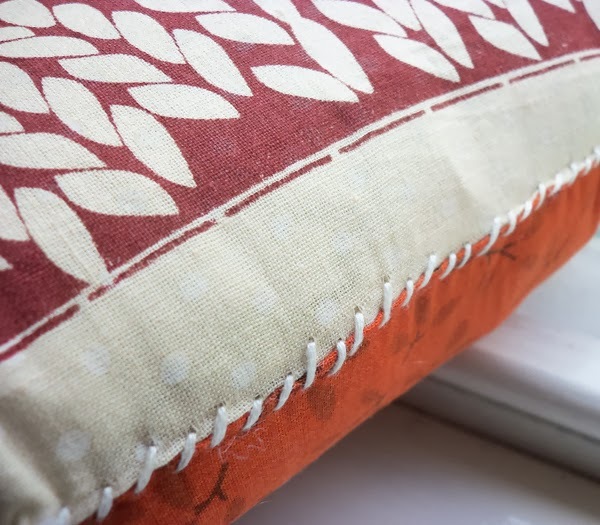 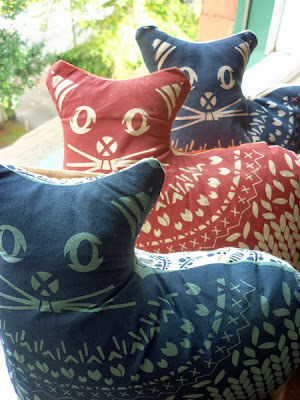 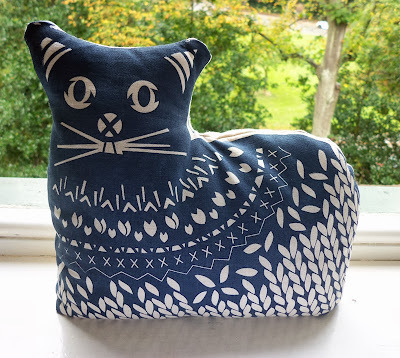 Cat has been hand stitched to finish. On the back of the CAT is a handy handle to move it around. 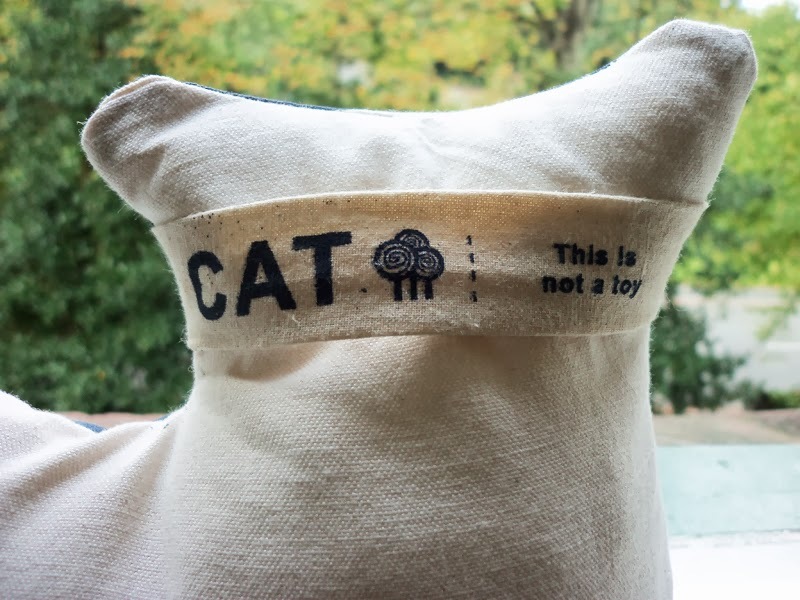 CAT Doorstop is filled with pre bought childrens play sand (wrapped in tiny fabric packs) and polyester toy filling.